I haven’t posted for a while… A lot has been going on in my world. I have an almost ten-month-old baby boy, I returned to full-time work three months ago, and so juggling motherhood and work have been a little tougher than I expected. As well, my father has continued to fight his battle against cancer, until last Sunday. So whilst I have a lot going on in my head, I’ve literally had no time to sit and write it down. But I’m still here! I remember when he was diagnosed with cancer, and shortly after I found out I was pregnant. He fought against his disease, and I prayed hard that this time my pregnancy would last. 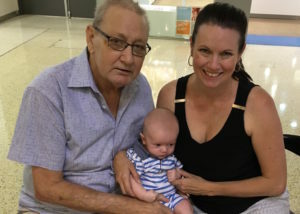 My father defied the odds given to him on his diagnosis and I defied my specialist who advised that I may not ever be able to carry a baby to full term. When Dad passed away last Sunday, we had a short conversation just ten minutes before. He was still in good spirits and telling me he was ‘great, on top of the world’. His positivity was always inspiring. What the last few months have taught me is that life goes too quickly. I watch my little boy grow and develop before my eyes, and he is now a toddler, no longer a wee baby. As I attended my Dad’s funeral, I was in awe of the people who came to show their respects, and the love that they shared for him. He was a kind and gentle man, who wanted nothing more in his life than to have a loving family. He achieved that goal, and seeing the crowd at his ceremony I realised that his family extended far beyond the blood relatives sitting in the front row. As simple as his goals may seem, my father sought to embrace everyone who entered his life and he made no judgments or exclusions. He was known as the ‘gentle giant’, a tall, large man who wouldn’t hurt a flea. Although he did hate spiders… He always taught us respect, honour and integrity – and if I can take anything from him, it is to love and accept differences, no matter what, and that family are everything. Now he leaves this legacy to his children and his grandchildren. A legacy that says we must live our lives and follow our dreams. Whatever we aspire for in life, no matter how big or small, it is our dream to follow, and we should do so with every ounce of our heart. 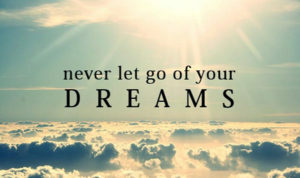 Don’t stop, always fight for those dreams and never let go. Rest in Peace Dad, you are no longer in pain, and you fought hard. You were able to meet my baby boy, and hold him, and that I will forever be grateful for. Watch over us and in time we will meet again. I’m sorry for you loss. He sounded like a wonderful man.